I had heard so much about Barry M Gelly Hi-Shine Nail Paint – and all of it was good. 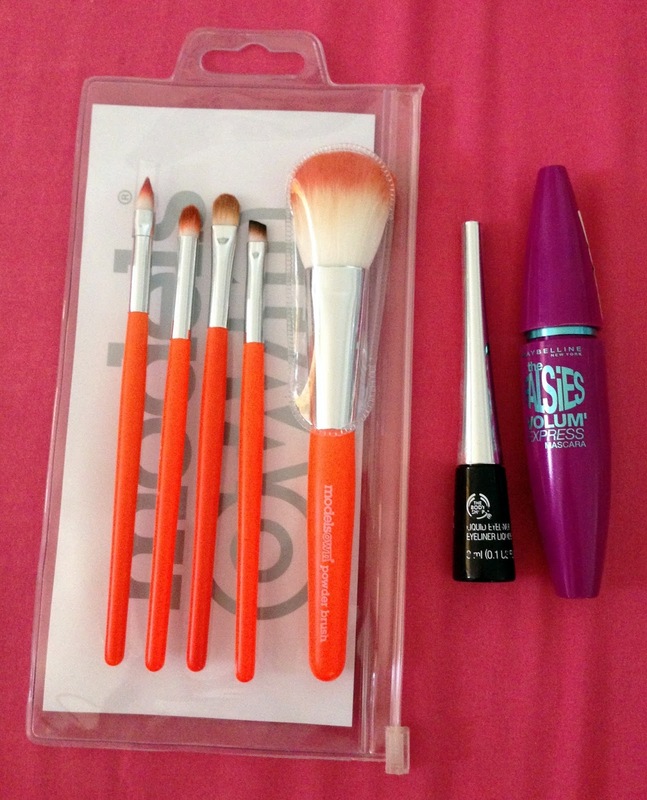 However, the colours that were initially available at my local Boots never really caught my eye. As I was shopping I spotted two shades, one of them being ‘Blackberry’, the other being ‘Greenberry’ and at just £3.99 (and currently on Buy 1 Get One Half Price at Boots) I could not wait to try the Gellys at long last! ‘Blackberry’ is a dark navy blue, which almost borders on black. In other words, it’s gorgeous. I was definitely not disappointed with the quality either. I achieved an opaque finish with just one coat – however I applied a second coat for it to be super-opaque and maybe last a few days longer too. Once dried, the nail polish was looked really lovely and shiny. It’s one of those colours which made me want to keep looking at my nails and staring at the colour, as it’s so dark and mysterious. I also found that there was no chipping for atleast 5 days. I would highly recommend Barry M Gelly Hi-Shine Nail Paint, although I’m pretty sure you didn’t need me to tell you that – everyone else seems to be loving the Gelly Nail Paints too! Have you tried Barry M Gelly Hi-Shine Nail Paints? What colour should I try out next? 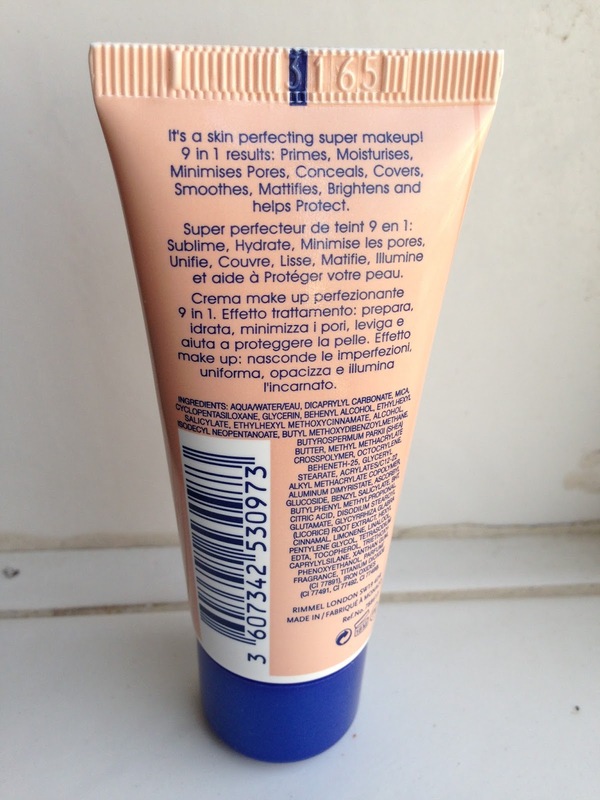 Today I shall be reviewing Rimmel London BB Cream in ‘Light’. Ever since the whole BB Cream craze started a few months ago I have been eager to try one out for myself! 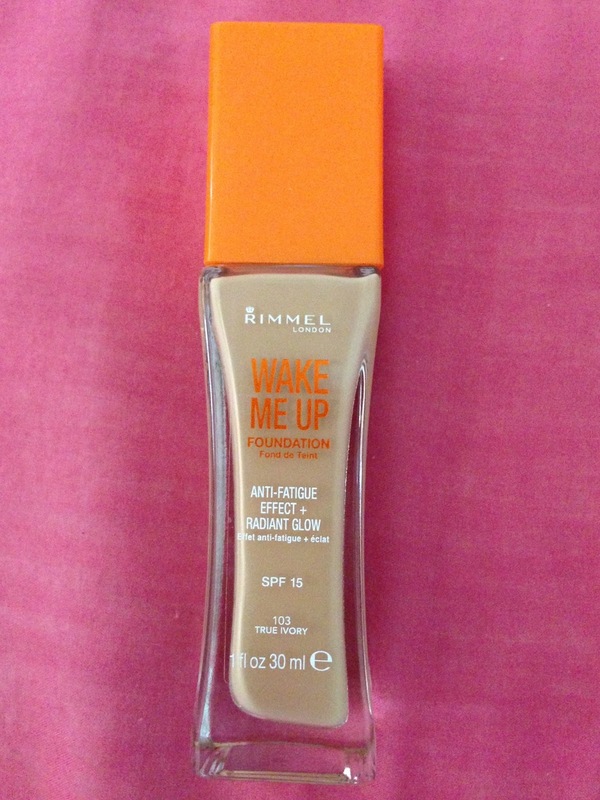 I wanted a product that would offer a light coverage for the warm, summer months that would offer more UV protection than my SPF 15 Rimmel Wake Me Up Foundation. 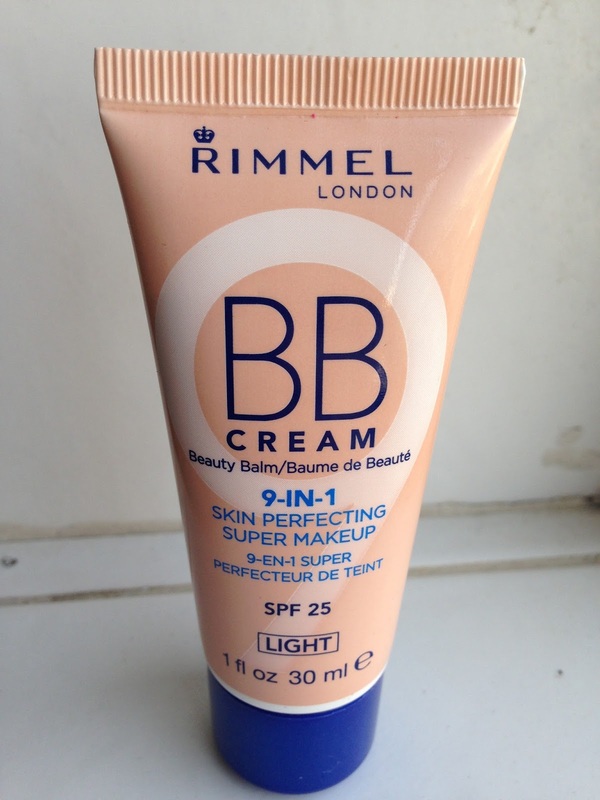 Since I have been loving Rimmel London products lately I thought I would give their BB Cream a go! Rimmel London describe this product as a ‘9-in-1 Super Perfecting Super Makeup’ and claim that it should achieve the follow: primes, moisturises, minimises pores, conceals, covers, smoothes, mattifies, brightens and helps protect. PHEW – Rimmel sure did aim high, but did they actually live up to all of this? MOISTURISES? Kind of. I did feel that the product was rather moisturising to an extent. CONCEALS? Kind of. It did conceal some redness but I did still need to use my trusty Collection Lasting Perfection concealer on spots. COVERS? I’m not really sure what Rimmel meant by this – but I guess it did ‘cover’ my face? Please let me know if you have any idea what Rimmel might have meant by this. BRIGHTENS? Not really. I didn’t notice any brightening going on – although this might be as I am used to my Rimmel London Wake Me Up Foundation, which does rather noticeably brighten your skin. HELPS PROTECT? Yes – It does claim to have SPF25 so I guess it should help protect! Overall, I would say that I was happy with this product. I enjoy using it most on warm, sunny days – when I find my Rimmel London Wake Me Up Foundation does not offer enough UV protection (SPF 15 vs SPF 25) and find it a tiny bit too sparkly in the sun. However, I will definitely stick to my foundation for nights out or when I’m having a particularly bad skin day. I found the ‘Light’ shade to match my skin pretty well (I normally use ‘Ivory’ or ‘True Ivory’ for Rimmel London foundation) and a little does really go a long way with this product! 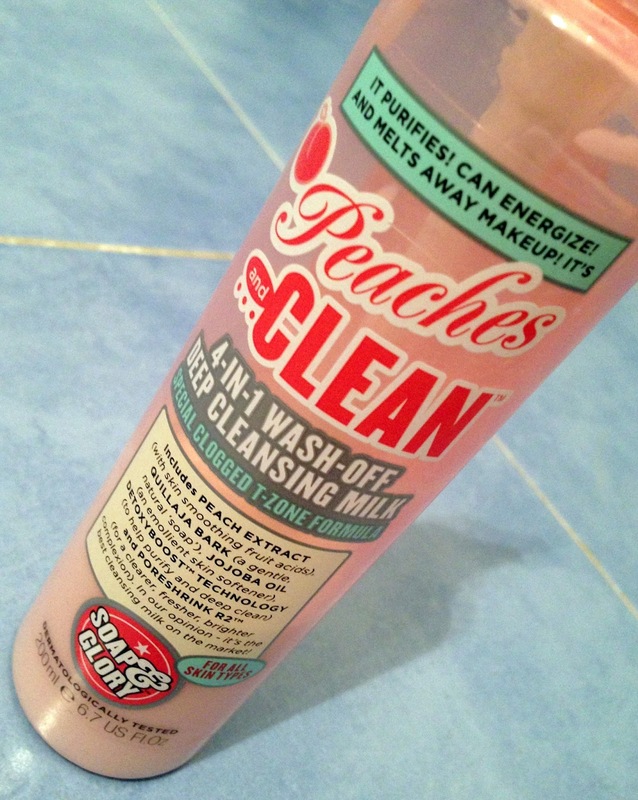 One final thing is that I also noticed the product has a (very) mild fresh scent whilst applying it to my face, which is no longer noticeable once it is actually applied. Will I be re-purchasing Rimmel London BB Cream? Possibly – although I might try out a few other brands’ BB Creams to see if I like any of them better. What BB Creams have you tried? Which brands would you recommend? Today I shall be reviewing a nail polish brand, which I haven’t seen many reviews for – and this is the H&M Nail Polish in ‘Polish Me Happy’! H&M’s nail polish had never previously caught my eye but as I was browsing the shop a couple of months ago I spotted ‘Polish Me Happy’! I wasn’t sure whether H&M’s nail polishes were of a good quality as I hadn’t really read or heard much about them, but I really did fall in love with the colour and at just £2.99, I thought I would give it a go and find out what it’s actually like! ‘Polish Me Happy’ does not give much away about the actual colour of the nail polish. It is in fact a medium-almost-dark-spring-green colour (Sorry, it’s the best I could do!). 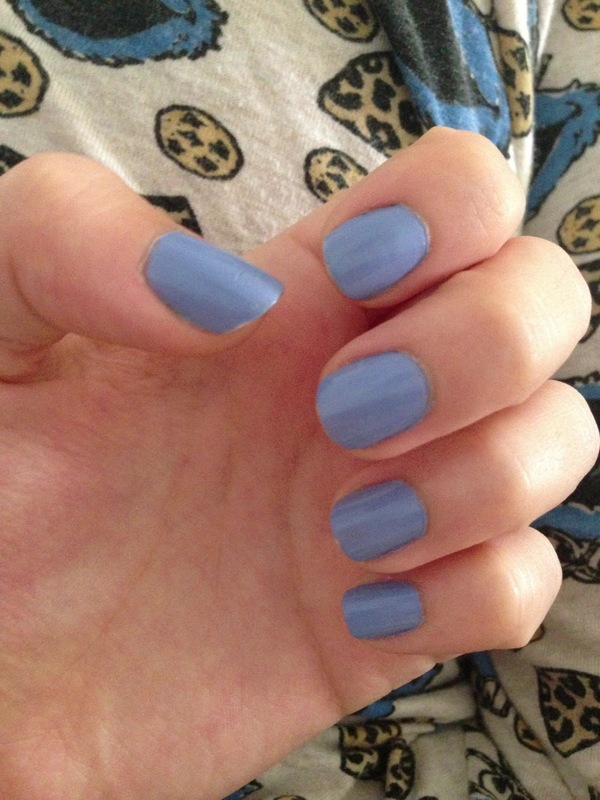 I was quite impressed with the quality too, especially having never really heard much about H&M’s nail polish range! Admittedly, I did need to apply 2-3 coats for the nail polish to appear completely opaque, and the brush is round and bordering on the small-ish side (If you have read my Essence Color & Go Nail Polish review, you would know that I much prefer flat nail polish brushes!). However, I was pretty satisfied with the end result as I think the colour looked really gorgeous, especially for the spring/summer and the nail polish did last quite long with the help of a top coat! You can purchase H&M Nail Polish in store or online by clicking here. Have you ever tried H&M Nail Polish? What do you think of green nail polish shades? I *love* reading other bloggers’ everyday makeup posts, so I figured I should create a similar blog post for others who enjoy reading these kinds of posts! Welcome to my everyday makeup! 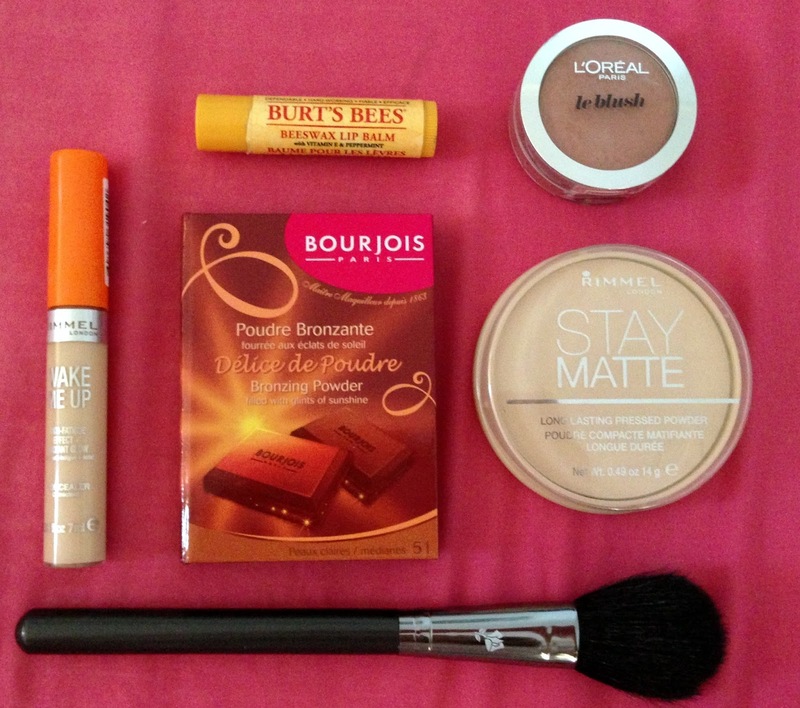 I start off my everyday look by using Rimmel Wake Me Up Foundation in 103 True Ivory. I absolutely love this foundation, as it’s got great coverage & I love the smell. 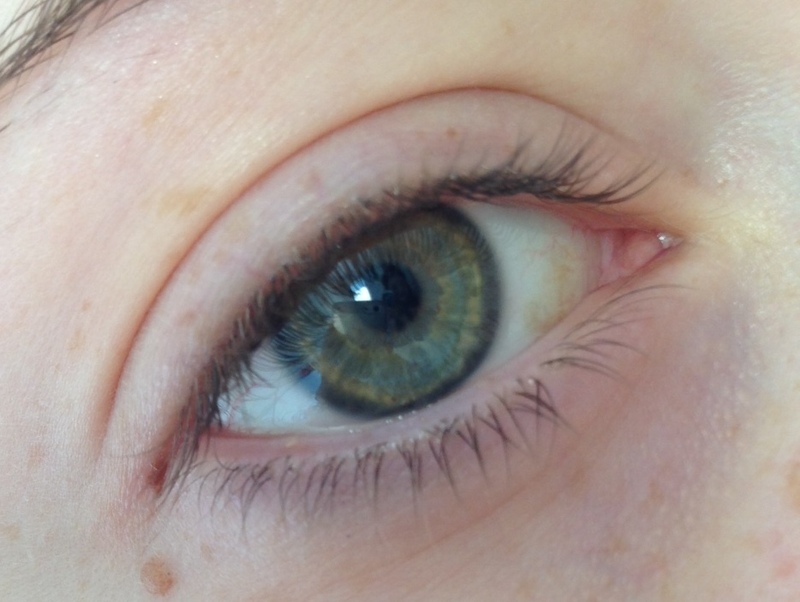 I then move on to my eyes. 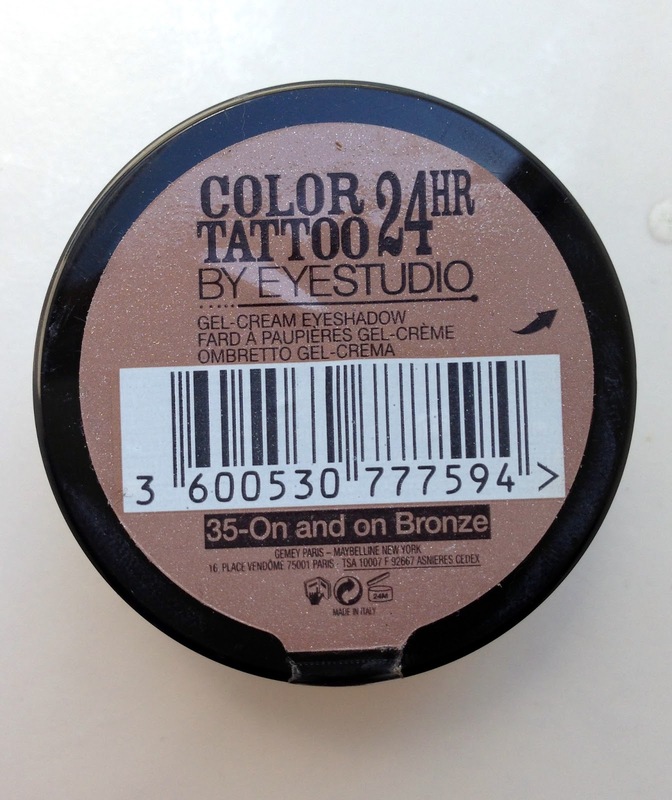 I recently purchased Maybelline Color Tattoo 24HR in On and On Bronze, which I reviewed here & have been loving ever since! 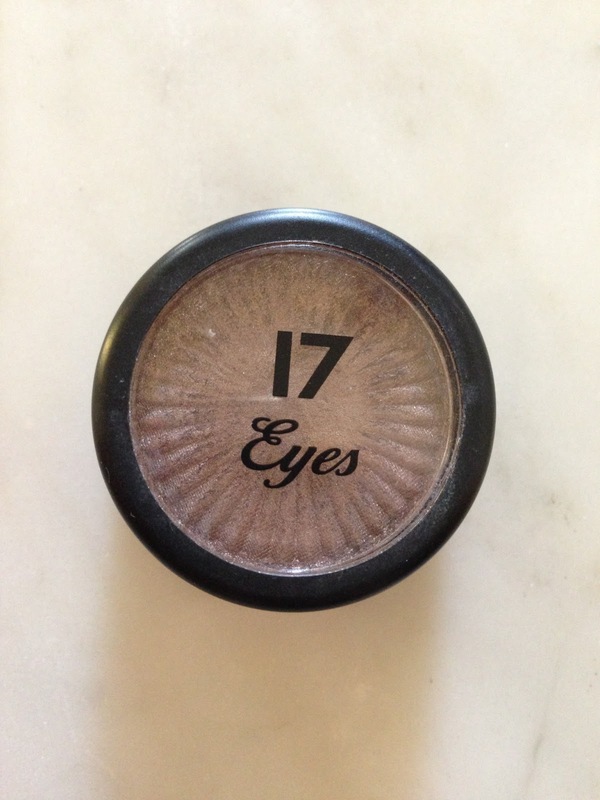 I love how long-lasting & versatile this eyeshadow is – it’s ideal for both day & night. 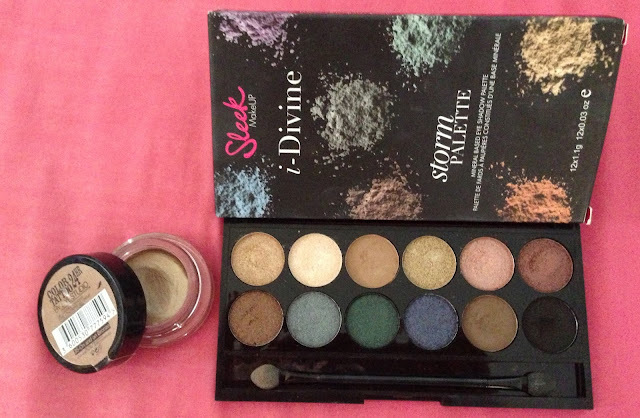 When I’ve got a few extra minutes to get ready, I normally pick up my trusty Sleek i-Divine Palette in Storm, and use the medium-brown matte eyeshadow (that’s the 5th eyeshadow L-R on the bottom row) through my crease, which I think creates a lovely combination. I apply this using the brushes from my Models Own Neon 5 Piece Brush Set, which I really love – and is a bargain at just £10 for all 5 brushes! I then apply some Liquid Eyeliner by The Body Shop, which I must admit, is not my favourite eyeliner, as I find it quite tricky to use and doesn’t last all day on really hot/sweaty days. 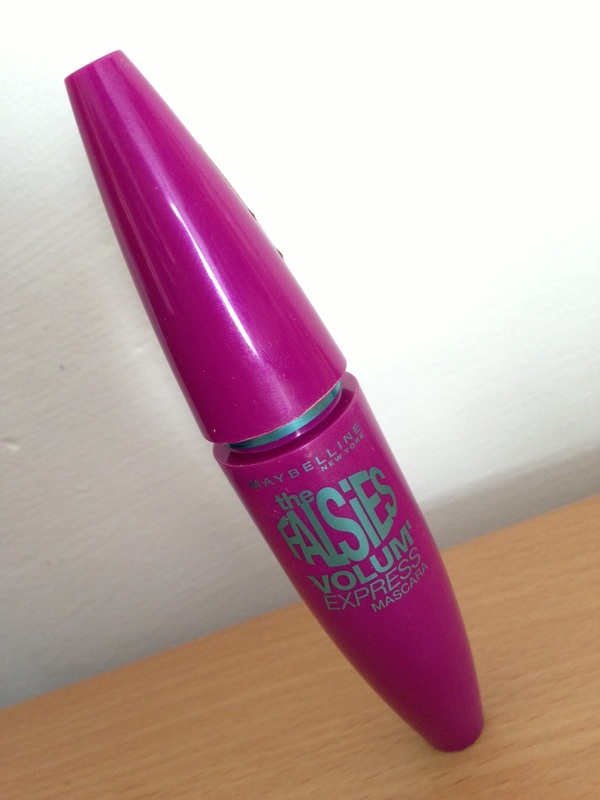 Finally, I apply a coat or two of Maybelline The Falsies Volum’ Express mascara, which I reviewed here – and that’s my eyes done! I then apply Rimmel Wake Me Up Concealer in 010 Ivory underneath my eyes to get rid of any dark circles I may have – although foundation is normally enough to get rid of them. 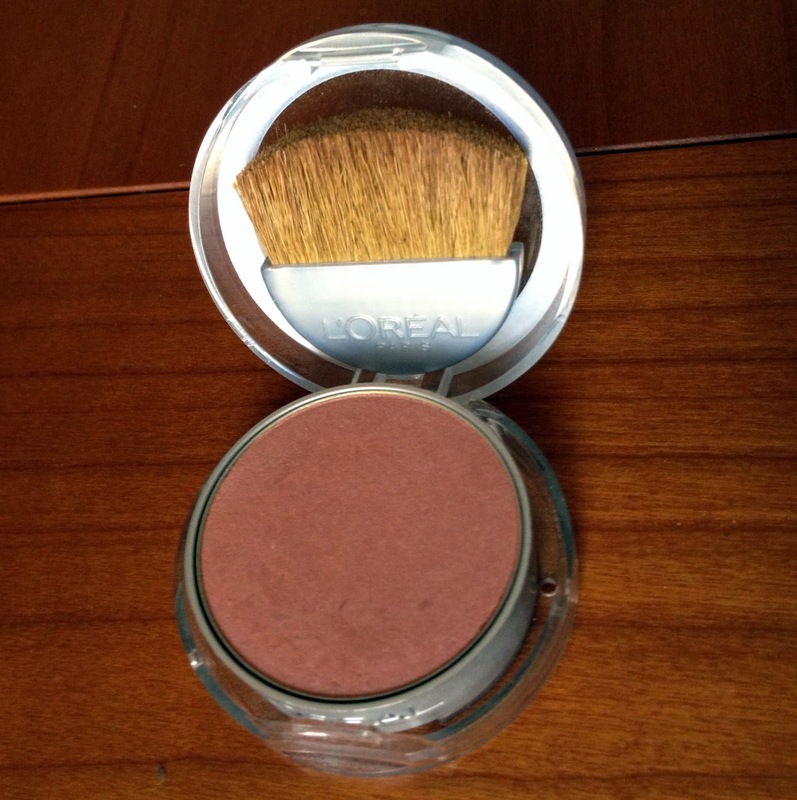 I apply L’Oreal True Match Blush in 140 Old Rose, which is a matte medium pink with slightly peachy undertones blush, to my cheeks. I use my Lancome Paris brush to do this. I got this brush free on a Lancome Paris offer, but I believe it’s similar to their Cheek Brush #6 (correct me if I’m wrong?). I then apply Bourjois Delice de Poudre in shade 51, which is their lighter shade, to my cheekbones, forehead and nose, and set it all in place with Rimmel Stay Matte Powder in Transparent. Finally, I finish off my everyday makeup look with Burt’s Bees Beeswax Lip Balm! I hope you enjoyed this blog post! Let me know what your favourite everyday makeup items are in the comments – and feel free to post links to your ‘Everyday Makeup’ blog posts, I’d love to have a look! I’ve always been a fan of Maybelline mascaras and have tried out lots of their mascaras, including Great Lash, Define-A-Lash, Volum’ Express The Colossal, and some others. So, after several months of reading blogposts raving about Maybelline The Falsies I thought I should definitely give it a go. Maybelline The Falsies claims to leave you with 300% more visible, fuller lashes, which I got pretty excited about as although my lashes are alright length-wise, they do lack volume! The mascara contains Maybelline’s Pro-Keratin formula which should instantly build volume without clumping, and also comes with a spoon brush, which claims to fan out lashes from corner-to-corner. 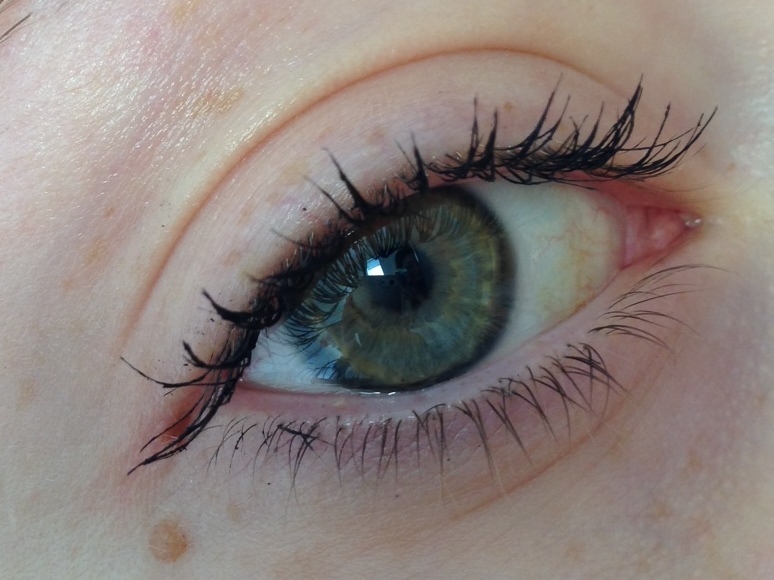 So, I gave The Falsies a go and… I was very impressed! Although the wand isn’t the sturdiest of wands, it’s alright. However, the spoon brush definitely makes up for it! I found that the brush really did fan out my lashes, just as it claimed to do. My lashes definitely looked more voluminous (is that even a word!?). Although one coat was sufficient, I normal opt to apply two coats for just a bit more volume, especially on a night out or when going for a smokey look! 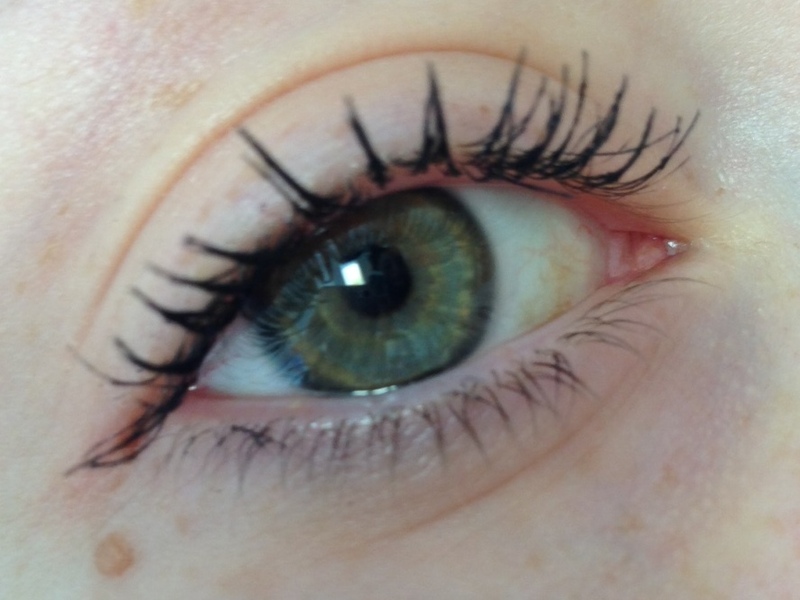 You can have a look at The Falsies in action below. I’ve read that this mascara seems to work best after a few weeks of use, as the mascara starts to dry up a little. I’ve now been using The Falsies for around 3 weeks, and although I thought the mascara was great even from the first use, I did find that it does add more volume to my lashes now than it did before. 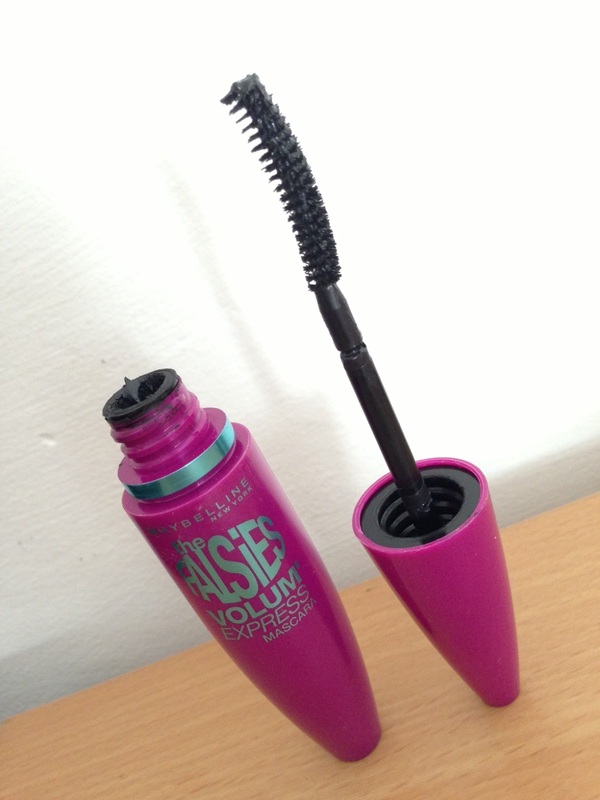 Overall, at just £7.99 from Boots, I highly recommend this mascara & will definitely be repurchasing! The nail polish has got a good, thick consistency and goes on very smoothly and neatly, thanks to the flat brush. I am absolutely loving flat nail polish brushes at the moment, and they seem to be around a lot more nowadays! Although ‘Absolutely Blue’ is a pastel shade, I only needed to apply two coats for a completely opaque finish (and it didn’t look too bad after one coat either!). 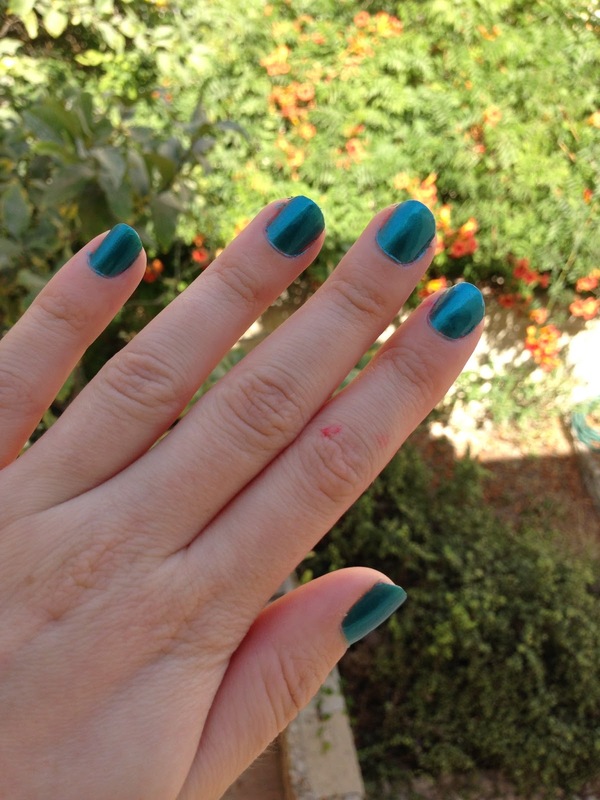 Although I love this nail polish and shade, there is unfortunately one downside to it – CHIPPING! The nail polish didn’t last very long as it started to chip on the second day. However, this could probably last longer with a top coat, which I will most definitely be using next time! Overall, a good nail polish in a gorgeous shade, and with a great brush. 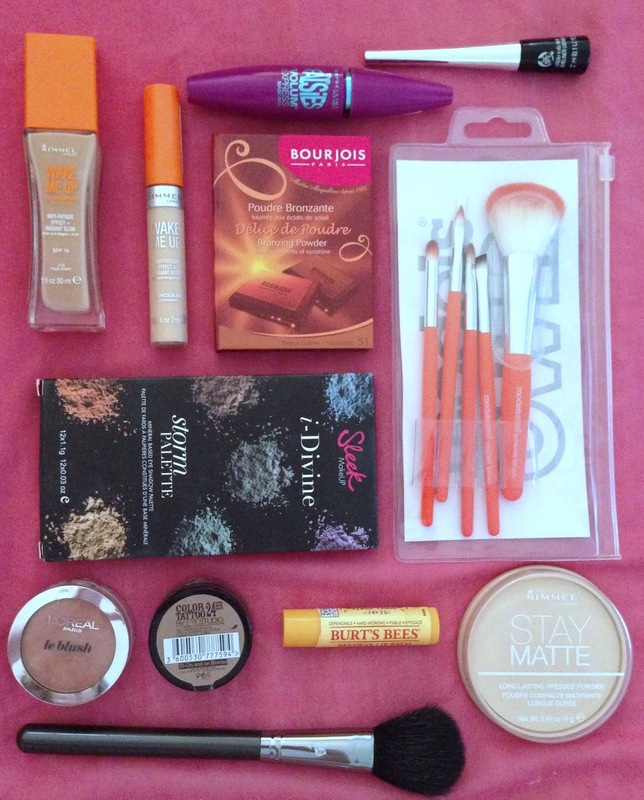 I’ve done a lot of makeup shopping on a recent trip to London, and this can only mean one thing – LOTS TO BLOG ABOUT! 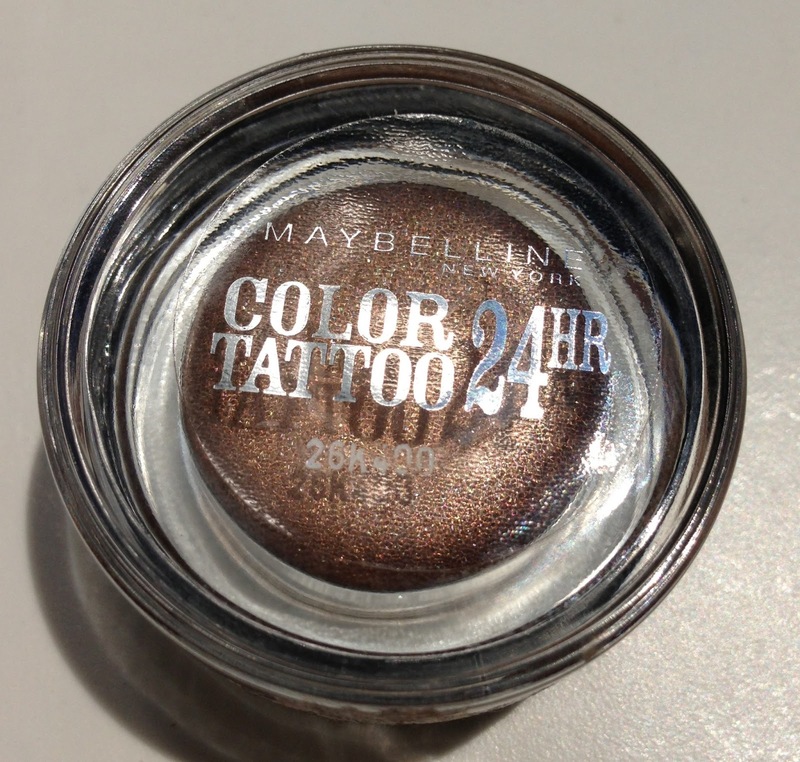 Today I shall be starting with Maybelline’s Color Tattoo 24HR gel-cream eyeshadow. I’ve been on the hunt for a cream eyeshadow for ages, because sometimes I’m just not in the mood to spend lots of time applying and blending regular eyeshadow, or maybe I’m in a huge rush! I wanted a colour that could be used both for a daytime and nighttime look, and so I decided to purchase the gorgeous shade ‘On and On Bronze’. Such a pretty colour, especially in the sunlight! Maybelline Color Tattoo 24HR costs £4.99 from Boots, and is available in 9 shades. ‘On and On Bronze’ is a shimmery bronze colour (just in case you hadn’t guessed that yet! ), which I think looks really pretty. I’ve used it about three times so far, but boy did these three times test it’s long-lastingness! 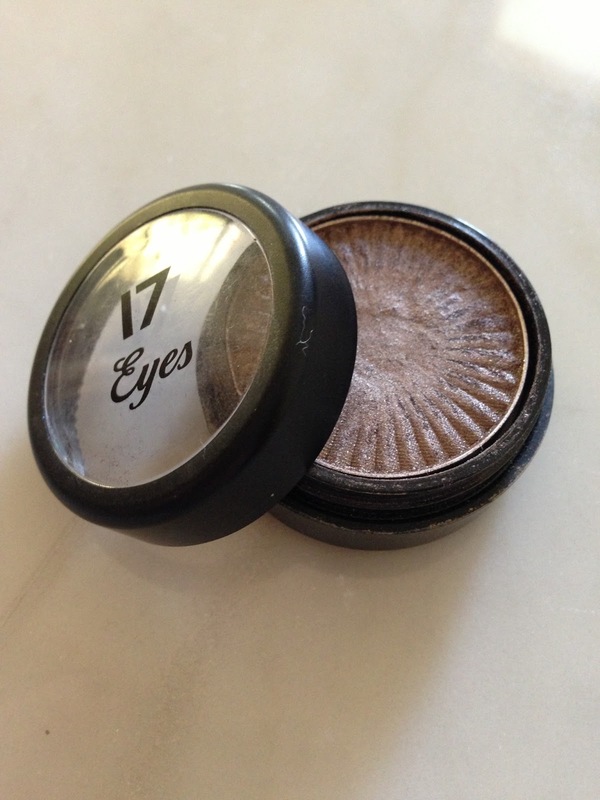 Three days of heat, sweat and lots of tears certainly put this cream eyeshadow to the test. 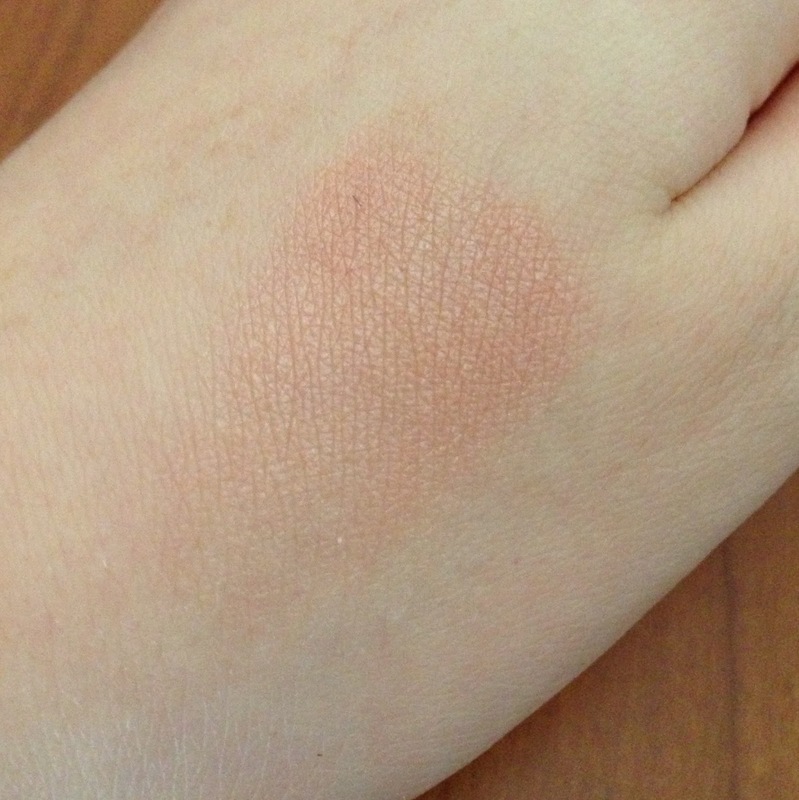 The eyeshadow’s got a rather thick consistency, and so I decided to go for the quick little-finger-dab-it-in-the-pot-then-dab-it-on-your-eyes approach, which amazingly resulted in a cool shimmery colour on my eyelids, and took *much* less time than any regular eyeshadow would to apply. The product claims not to fade (hence, 24HR), however I did notice that by the end of the day the eyeshadow did fade slightly. However, as I said there was lots of heat, sweat and tears involved, so I think this is pretty amazing. 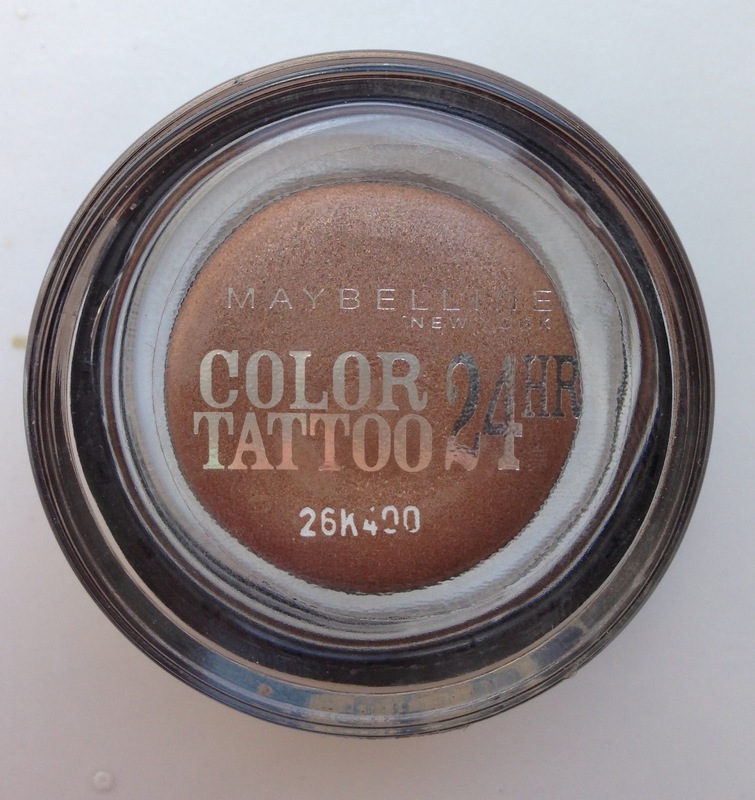 I would definitely recommend using Maybelline Color Tattoo 24HR as it is so versatile, can be worn very quickly if you’re in a rush, and (although I haven’t used it this way yet) I’m pretty sure it would make a good base for other regular eyeshadows. I cannot wait to purchase more shades, such as the pretty ‘Pink Gold’ colour! 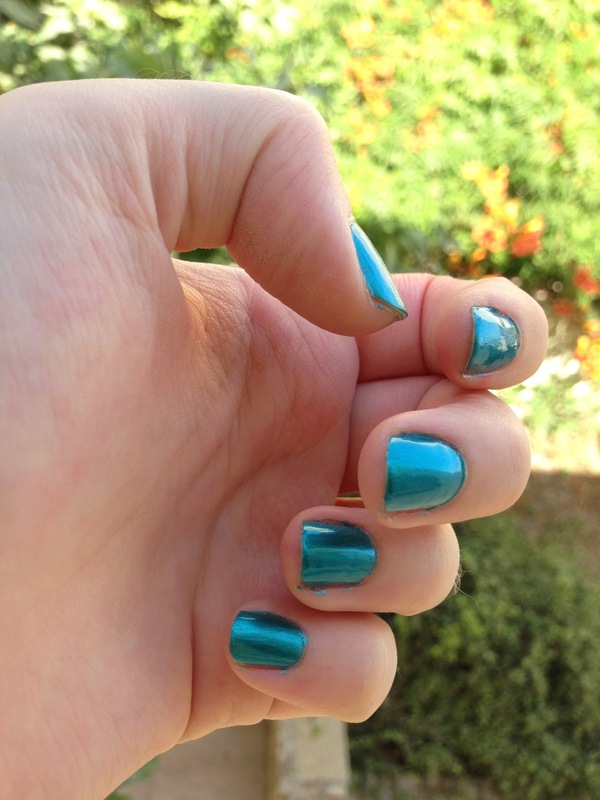 If you’ve read my previous post, I decided to paint my nails using Barry M Nail Paint in 334 Teal. You can check out my review here, if you’re interested. Although my nails looked pretty in metallic teal, I thought I would make them look a little more interesting with the addition of my little £2.50 friend from Primark, the ‘Embellish 3D Manicure‘. This pack contains a dark pink/burgundy nail polish (which I haven’t tried yet! ), small pearl beads/caviars, and a small funnel. I only really bought this for the pearl beads, as I’ve already got a similar nail polish, that is Barry M 273 Raspberry, which looks almost identical. 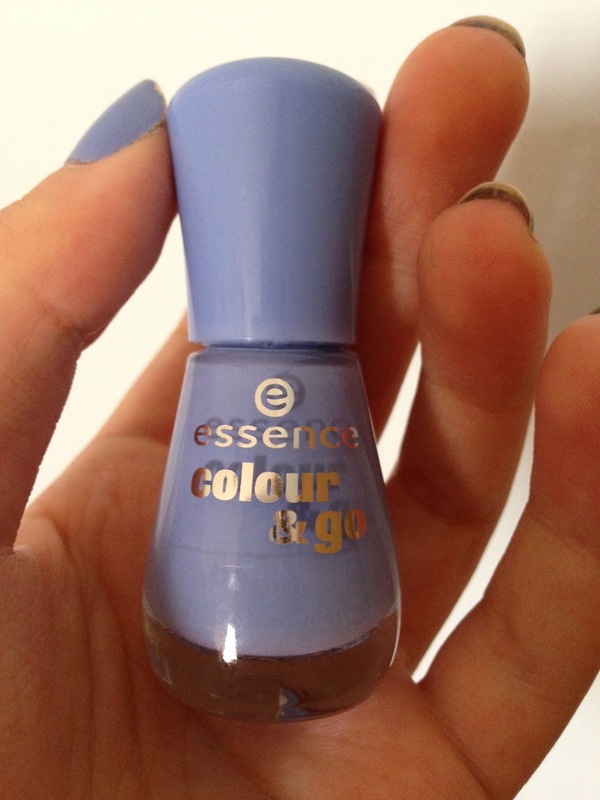 And at just £2.50 this was an bargain, especially when compared to other (proper) nail polish brands! After all, beads are just, well, beads aren’t they? 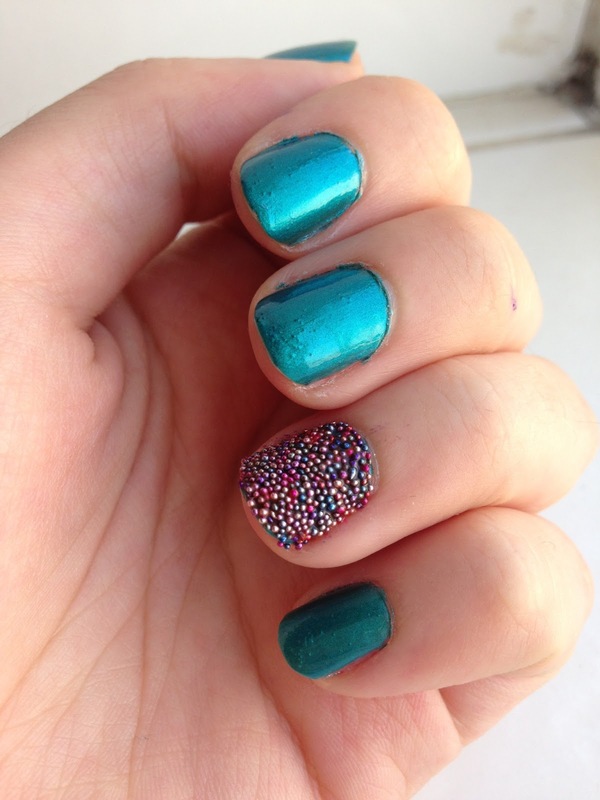 What do you think of caviar nails? Have you tried any other brands? 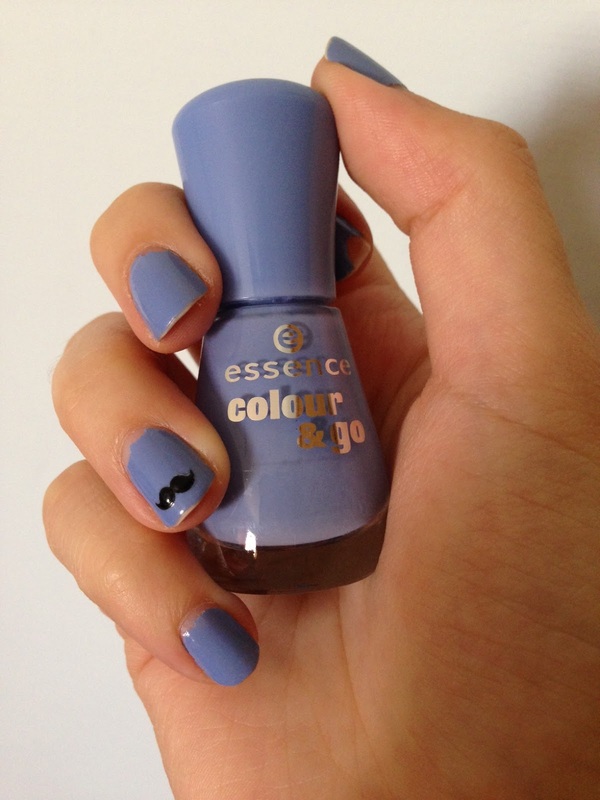 Today I will be reviewing one of my favourite Barry M Nail Paint – No. 334 Teal. I have been using Barry M nail polishes for quite a few years now. They initially caught my eye due to their amazing range of colours. Now, let’s get this out of the way first. I am a self-confessed blue-nail-polish-obsessed girl! No matter how many shades of blue nail polish I own, there always seems to be room for more. So when I came across this amazing shiny shade of teal, for £2.99 from Boots, I could not resist! I love the consistency of Barry M Nail paints, and I think the brush is ok. I have been loving flat nail polish brushes lately, as I seem to get much neater nails that way, however this round brush is alright. And also, THE COLOUR IS SO PRETTY! One coat of Barry M 334 Teal would be enough for a near-opaque finish, however I always prefer adding an extra coat of this for an extra OOOOOMPH! 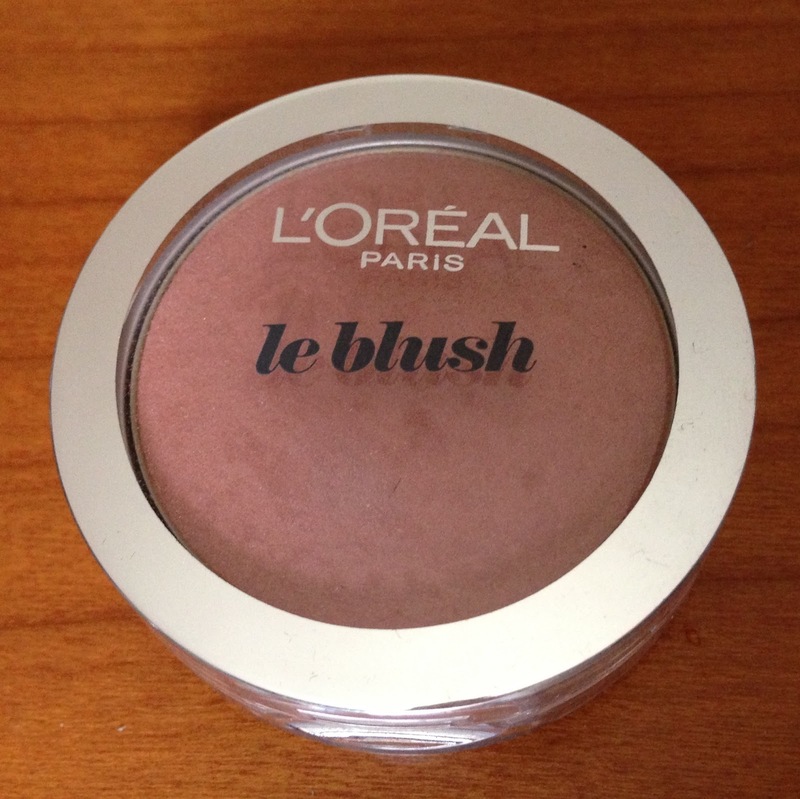 This shade is perfect for the summer, and I would highly recommend it! What are your favourite shades of Barry M Nail Paint? Barry M Nail Paint is available from Boots.com and is frequently on offer!